Can You Make Too Much Money to File for Bankruptcy? HomeBankruptcyCan You Make Too Much Money to File for Bankruptcy? 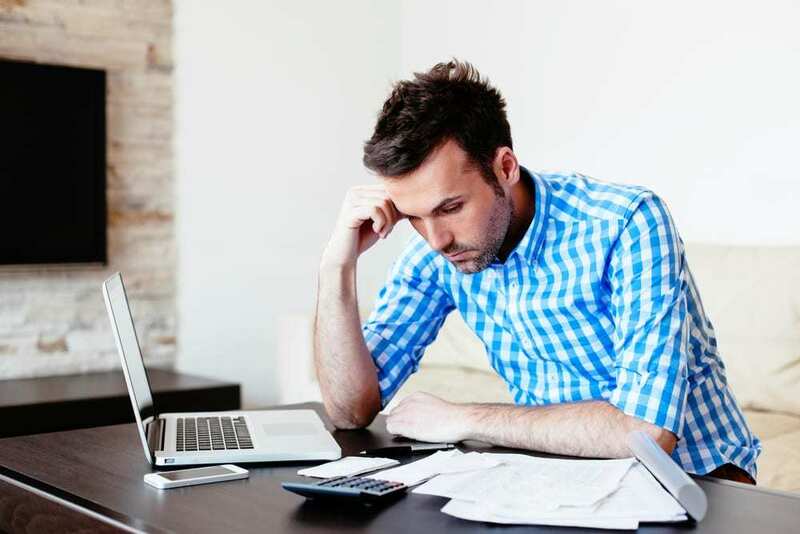 If you earn a high amount of income but are struggling to repay a substantial amount of unsecured debt, you might believe that your income disqualifies you from being able to file for bankruptcy. Can you make too much money to file for bankruptcy? The answer to this question is generally no. However, the bankruptcy chapters available to you will depend on whether you meet the means test and the amount of debt that you have. The Law Offices of Craig L. Cook can advise you on which chapter might be the appropriate choice for your income and your financial situation. A common misconception that many people have is that debtors who have high incomes are not able to avail themselves of protection under the bankruptcy code. In reality, you might be able to qualify for either Chapter 7 or Chapter 13 bankruptcy regardless of your income. If you do not qualify for either of these types of bankruptcy, you may still be eligible to file for bankruptcy as an individual under Chapter 11. Chapter 7 bankruptcy is the most popular form of consumer bankruptcy. It is called a liquidation bankruptcy because the assets that are not exempt will be liquidated to repay a portion of your debts. Most people are able to keep nearly all of their assets because the exemptions are extensive. When you receive a discharge of your debts under Chapter 7, you no longer have to repay your debts. To qualify for Chapter 7 bankruptcy, your income must be the median income in your state or less. If it is higher, then you must qualify under the means test. The means test examines whether you will have any discretionary income left after all of your bills are paid each month. If you do not, you can still qualify for Chapter 7 bankruptcy even if your income is very high. High-income Chapter 7 bankruptcy filers have to prove that they are filing their petitions in good faith. This means that your expenses must be fair and reasonable. You will not be able to pay for luxury items while claiming that you cannot repay your creditors. Can you make too much money to file for bankruptcy if you do not pass the means test? No, as you may still qualify to file for bankruptcy protection under Chapter 13. Chapter 13 bankruptcy is the other common type of consumer bankruptcy. Unlike Chapter 7 bankruptcy cases, people who file for Chapter 13 bankruptcy will enter into repayment plans. They will then repay a portion of their debts for a duration of either three or five years. People who are unable to pass the means test for Chapter 7 bankruptcy may instead file for protection under Chapter 13. However, this chapter also has eligibility guidelines for you to meet. In addition to being current on your tax filings, you must also have a sufficient income to meet your obligations under the repayment plan. As a high-income earner, you likely will have enough income to qualify. Finally, your unsecured debts may not exceed $394,725, and your secured debts, including your mortgage, may not exceed $1,184,200 under 11 U.S.C. § 109(e). If you do not pass the means test under Chapter 7, and your debts exceed the limits for Chapter 13, you still have another option. What Happens If You Don’t Qualify for Chapter 7 or Chapter 13 Bankruptcy? Chapter 11 is a section of the bankruptcy code that is available to businesses and individuals. Under Chapter 11, individual debtors are able to reorganize their debts to protect their assets and to restructure their finances. However, Chapter 11 cases are rarely filed by individuals because most people are able to qualify for either Chapter 7 or Chapter 13. When people file for Chapter 11, they generally do so because their unsecured debts exceed the limits established for Chapter 13 or they are reorganizing real estate investments. A Chapter 11 bankruptcy petition may be filed if you owe too much unsecured debt and if you do not pass the means test for Chapter 7. You will have to propose a repayment plan through which you will make monthly payments to the bankruptcy trustee. The trustee will then distribute your payments to the creditors. If you successfully complete your repayment plan, the court will issue a discharge at the end of your repayment period that absolves you of having to make any further payments to the creditors of the discharged debt balances. So can you make too much money to file for bankruptcy? Generally, no. However, the bankruptcy chapters available to you will depend on several factors. While Chapter 11 bankruptcy is available, the vast majority of individual debtors qualify for Chapter 7 or Chapter 13 bankruptcy. At the Law Offices of Craig L. Cook, our bankruptcy attorneys are able to assist consumer debtors with filing for protection under Chapters 7 or 13. To learn more about the type of bankruptcy for which you qualify, contact us online to schedule a consultation.